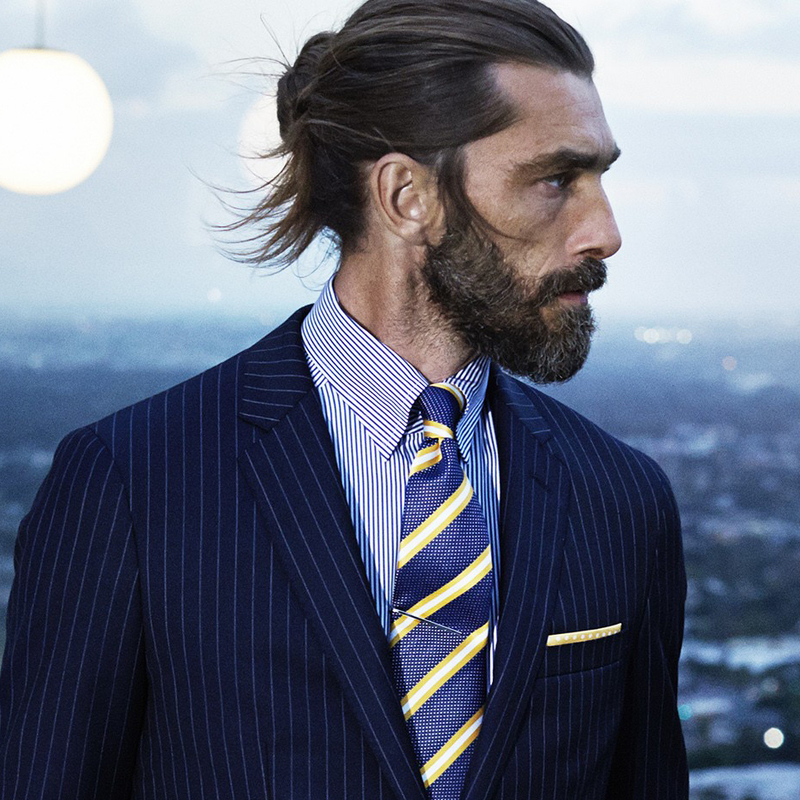 When workwear calls for a sharp suit, it comes down to your tie to do the talking and put some personality across. 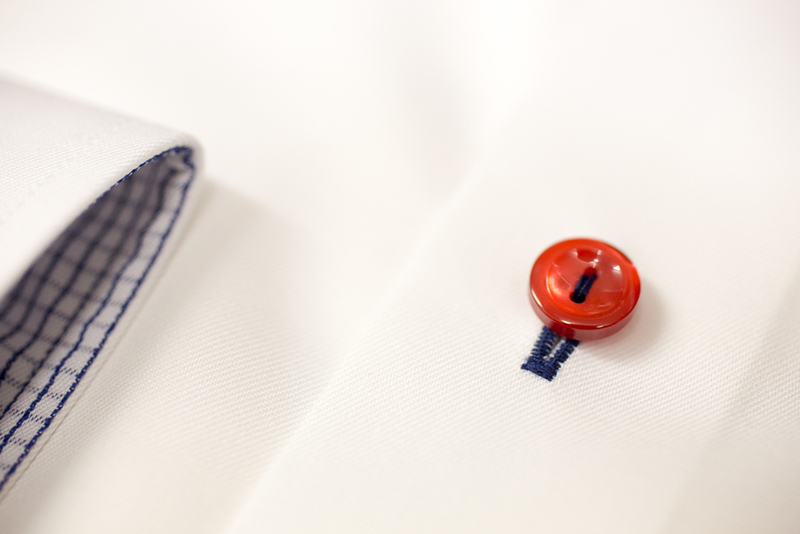 Eton are the workwear wonders behind made-to-measure shirts with a hidden shot of personality slipped into each collar, so we aren’t in the slightest bit surprised that the brand is also behind some of the most charming ties around. There’s something distinctly tropical and very fun about this flamingo print design; the perfect finishing touch for a grey suit. Do you know a secret science geek or a fan of all things retro? The Eton Robot Print Tie will take you back to the old era of futurism and space travel, whilst brightening a refined suit or shirt and jumper combo. Formality doesn’t have to mean sacrificing fun. The Eton Black Skull Pointed Bow Tie is subtle enough for even the most formal evening while still retaining a cheeky touch of personality. Pair it with your smartest tux and wait for the double take when people realise it isn’t just another bow tie. 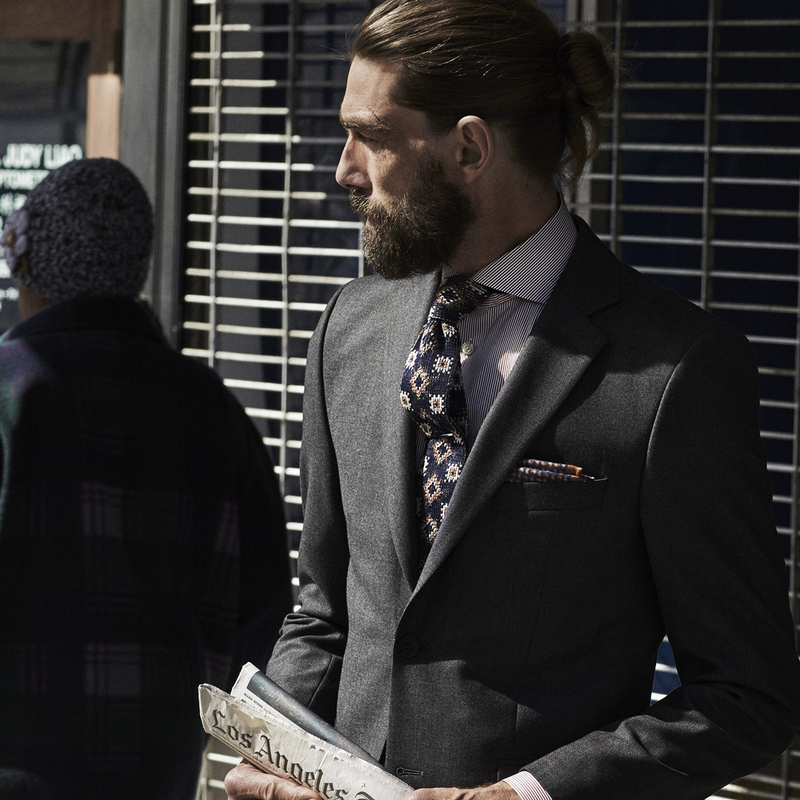 Robinsons stock the largest selection of Eton shirts and accessories in the region – visit us in store and let us brighten your work wardrobe. 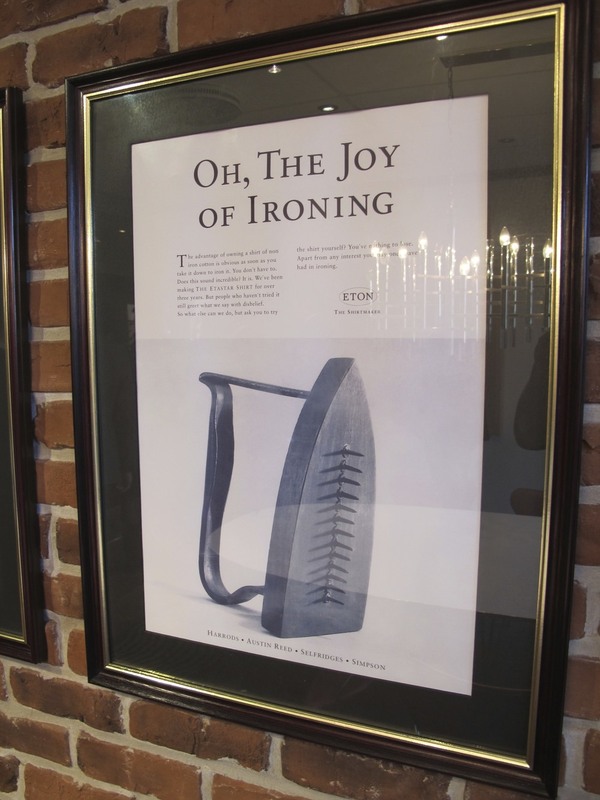 On the 8th & 9th of November 2011, James Jones from Robinsons of Bawtry was invited to visit a small town called Gånghester in Sweden for a couple of days to meet with the team from Eton shirts. 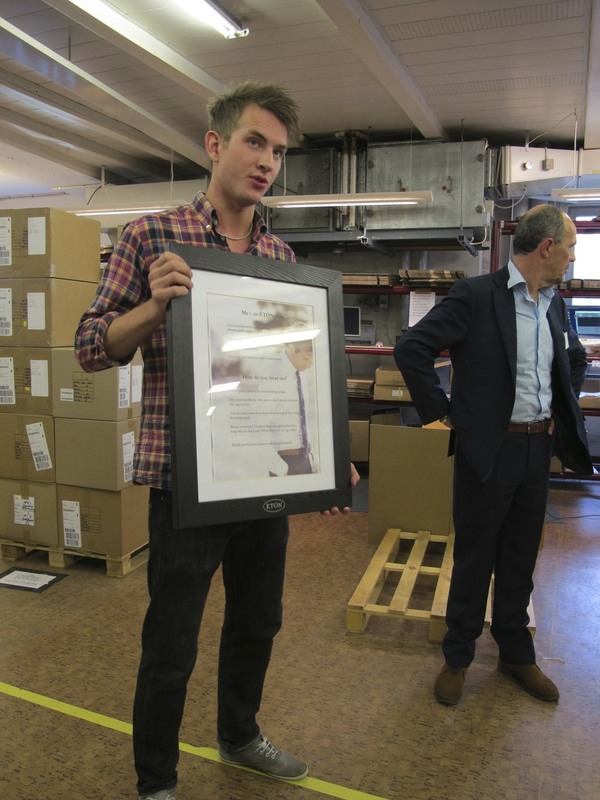 This trip was an all expenses paid trip for specially selected stockist’s of Eton Shirts from around the world. Also in attendance from the UK were Harrods and Selfridges. Here’s James’ account of the trip. I’ve been a huge fan of Eton shirts long before my days at Robinsons began, so when my family took over at Robinsons I thought all my Christmas’s had come at once; I’d had access to all the latest Eton shirts before anyone else! The reason I loved Eton shirts so much was that from an early age I remember noticing that all the people in my life that I considered really successful all seamed to wear Eton Shirts, recognisable by the tell tale red ribbon trim around the inside of the collar and the crispness of the shirt itself. When we originally took over, Robinsons stocked a very limited range of Eton Shirts, however with both Russell and I being big fans of the brand we expanded the range so much so that Robinsons are now one of the top three preferred stockists in the UK with a huge range of styles, designs and fits. It’s due to the size of our collection and commitment to the brand that Eton considers Robinsons of Bawtry one of it’s key retailers and is looking to further cement our relationship over the coming years. 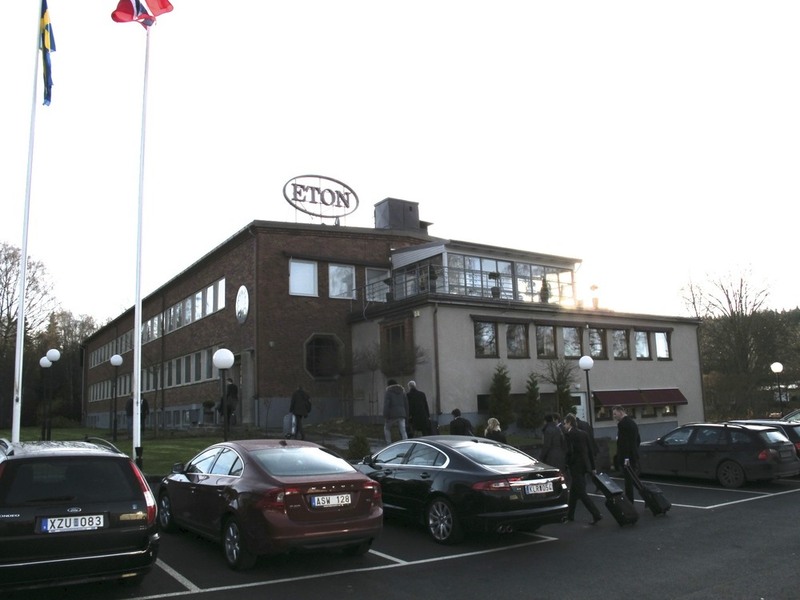 Eton College is a new initiative created by Eton in which they invited a handful of specially selected retailers from around the world to visit their headquarters in Gånghester, Sweden to meet with the directors, designers, seamstresses, logistical coordinators, marketers... the whole Eton team, or family as they prefer to call themselves. Those in attendance from the UK were, Harrods, Selfridges and Robinsons of Bawtry. On arriving in Gånghester, I thought the driver must have taken a wrong turn and gotten lost, the town is a postcard picture of a quiet Swedish town, then as we turned a corner the impressive structure of an old mill greeted us with the Eton logo sitting proudly on the roof. The building has been extensively modernised inside but still holds it’s original charm and character. Large open communal spaces are surrounded by glass fronted, open door offices each housing two or three employees give a feeling of collaboration and creativity. This is a dream working environment. 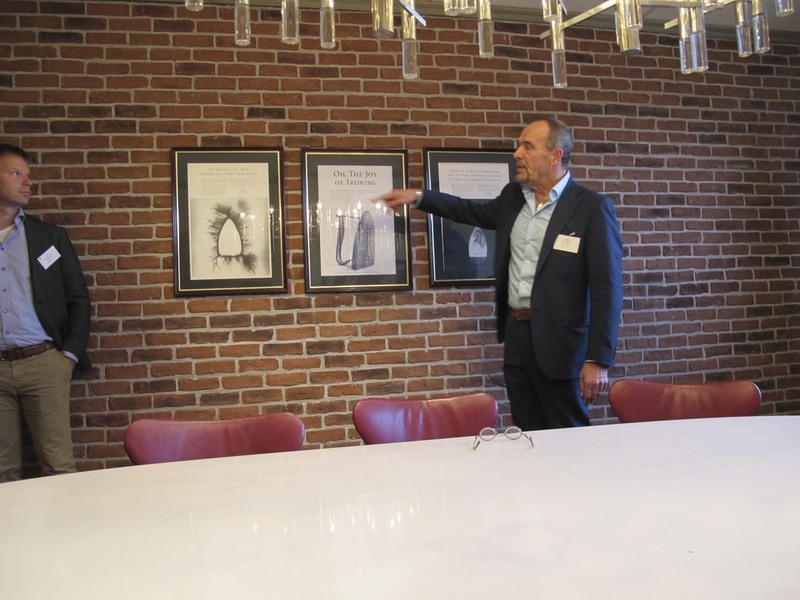 Once all the delegates from around the world had arrived we were introduced to each member of staff working in that office space, ranging from Jacob ‘the intern’ to Hans the CEO, the work force is a dynamic mix of individuals. Each person is encouraged to be themselves and voice their opinions whenever it is constructive to do so. As part of the trip we did some in depth product training and saw the process of a shirt being made, it was really interesting seeing the level of detail they go into during the process from concept & design, to manufacture and distribution. Etons’ shirts have a huge following of celebrities and royalty, inc; Roger Moore, David Beckham, Barack Obama, Prince Charles and many more. 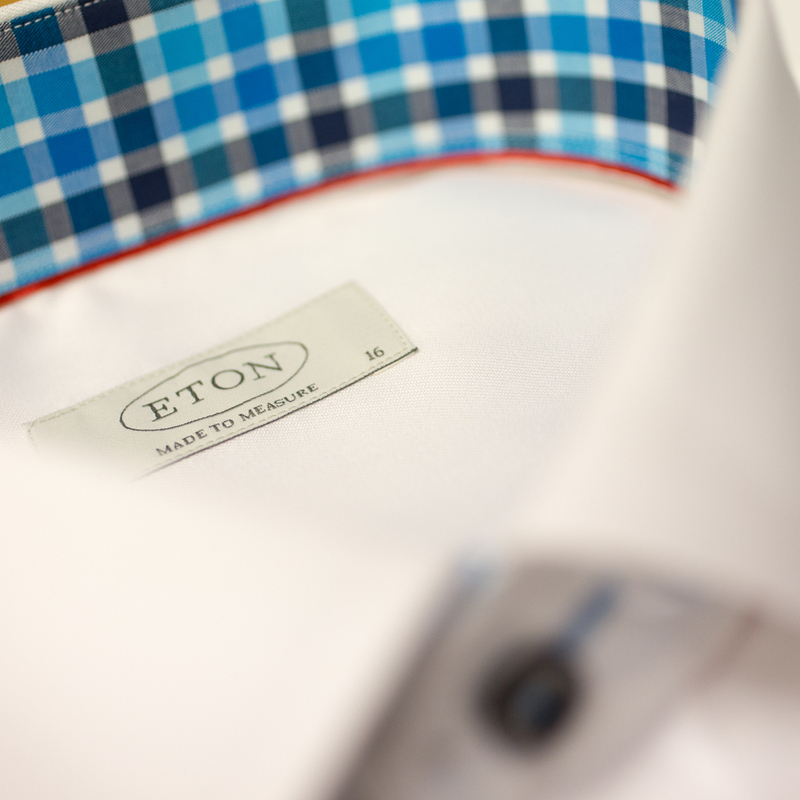 World wide Eton currently sell over 600,000 shirts per year, however each shirt is made in Europe by hand, using a plethora of specially developed tools to get the finish perfect. 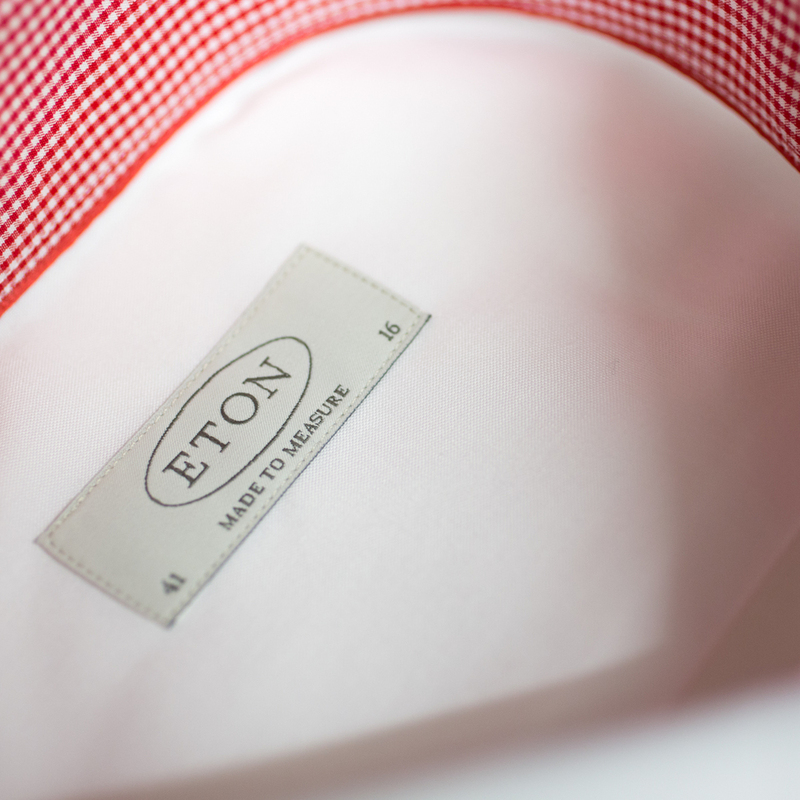 Eton's attention to detail is highlighted when you look at the materials they use, where most shirt makers will select materials from a mills swatch books, Eton work with specially selected cotton farmers who produce the top 3% off cotton in the world, they then partner with the best mills in the world to have the cotton crop transformed into their uniquely designed patterns ensuring exclusive fabrics for it's customers. Once the material is in roll form, it then under goes a patented 3 week process that realigns the structure of the cotton fibres to make the shirt more wrinkle resistant and iron free than any other shirt. 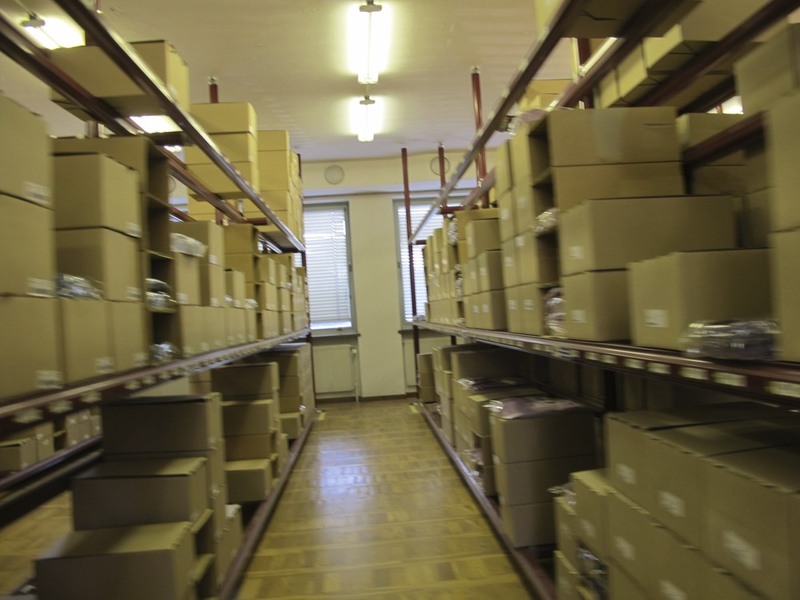 through out the process there are strict quality control measures in place and only once all of these are checked will Eton give the material it's stamp of approval. 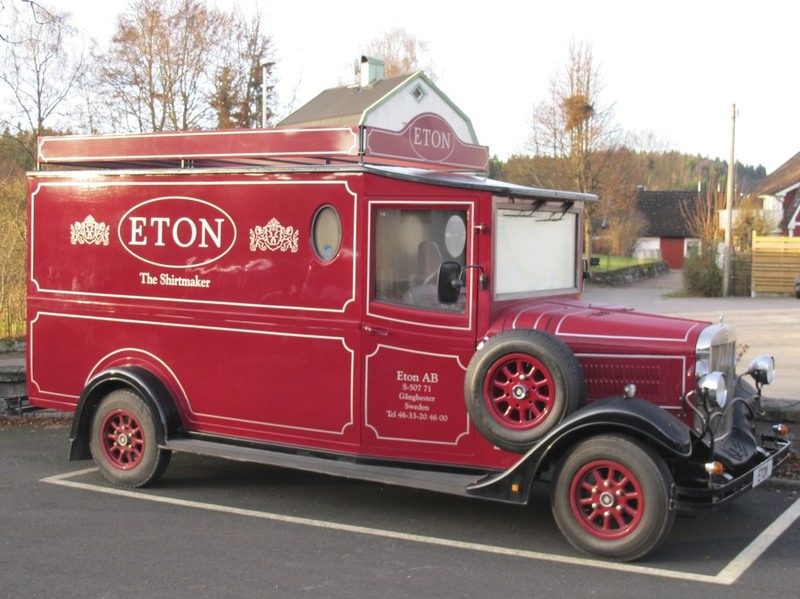 Eton was established in 1928 by husband and wife, David & Annie Pettersson, the business is now led by father and son, Jan Borghardt & Sebastian Dollinger. For a brand with so much history, the workforce is made up of a young vibrant team who operate an open door office policy where everyones opinion is welcome and encouraged. The old mill has been modernised and now houses the international head office and made to measure service which runs using Etons own custom developed system, supplied by sister company Eton Systems, it's almost an art to see the traditional skills of a seamstress combined with the modern logistics systems overhead. 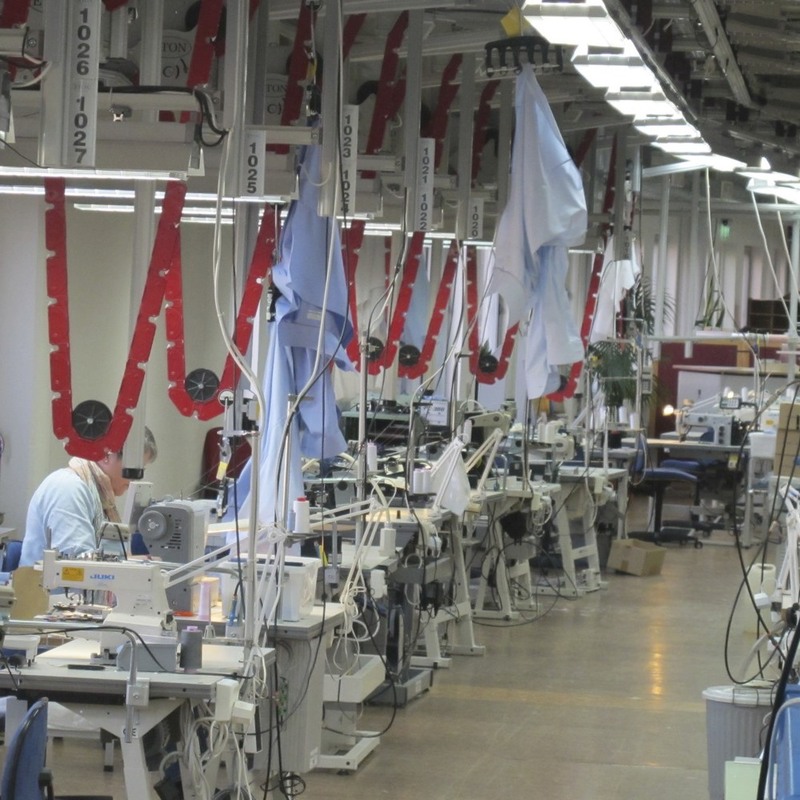 For every shirt that is made it is possible to track exactly which seamstress has performed each and every step of the construction. Over the years Robinsons of Bawtry have become the premier stockist of Eton shirts in the north of England, with a core range of classic styles complimented by an ever changing selection of Limited Edition styles.